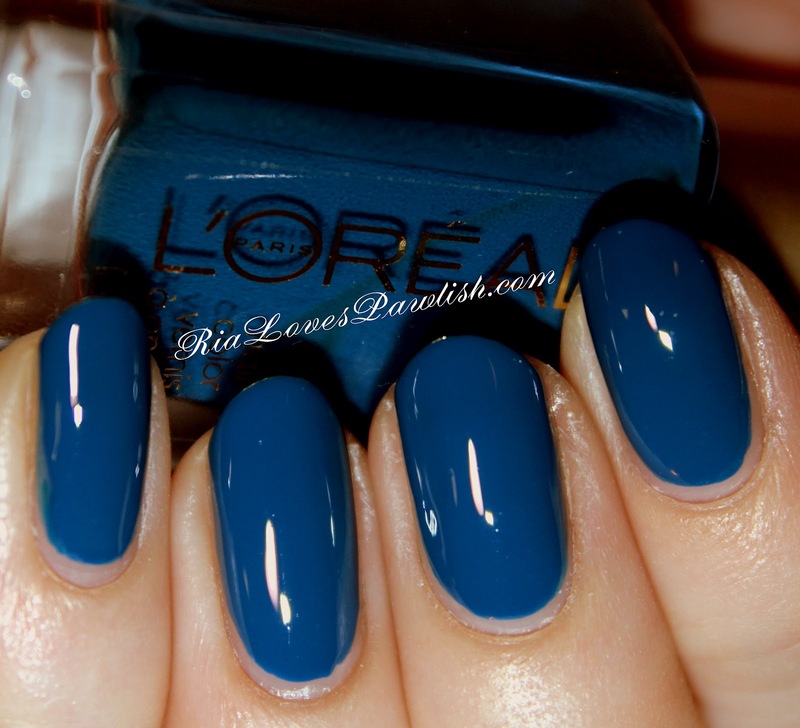 today's mani features L'oreal Jet Set To Paris under Zoya Maisie. flakies and blue polish? j'adore! JSTP is a medium blue cream, not nearly dark enough to be confused with navy. it's got lovely warm undertones and a great formula that stands up to its more expensive competition... i'm super impressed! i used two easy coats, you might be able to get away with one thick coat! it is very similar to Essie Mesmerize, Maisie just has a warmer undertone. while it did dry shiny, i went with a coat of Seche Vite to bring it up a notch. Maisie is part of the 2012 Zoya Fleck Effect collection... does anyone else have trouble pronouncing that?! Maisie is a traditional flakie whose flakes shift from green to blue. it has a great amount of flakies, they weren't sparse, but also didn't cover up the entire nail (like Essie Shine Of The Times). like all flakies, i topped this off with two coats of Seche Vite to showcase the polish to its fullest extent! one coat Seche Clear, two coats JSTP, one coat Seche Vite. one coat Maisie, two coats Seche Vite. I'm really loving all the Flakie polishes. Love the look! i absolutely can't get enough flakies... they're like crack!